Copyright protection is the area of the law about which I most frequently get questions from authors and self-publishers. I want to go over just two basics in this post – how an author gets copyright protection and whether they need to register. You are already getting copyright protection. The Berne Convention requires member countries to grant copyright automatically upon creation of the work without any formalities such as notice or registration. Thus, the 166 countries (167 if we count the Holy See) that are signatories to the convention must grant copyright protection upon creation of the work. Let’s look at the standard in the United States. The requirements for Canada and most other countries do not differ in substance even if the language used is different. The key language is “fixed in any tangible medium of expression”. Written longhand on a scrap of paper? Fixed in a tangible medium of expression. Typed into a computer? Fixed in a tangible medium of expression. Dictated into a voice recorder? Fixed in a tangible medium of expression. In each example, the statutory fixation requirements are met. What would not count as fixed in a tangible medium of expression? A work that existed only in the author’s memory or a work that has only been conveyed orally without any recording or other fixation. So, pretty much whatever you are already doing as an author is getting you copyright protection, whether you are writing longhand, typing into a word processor, or dictating your work. Do I need to register my work with the Copyright Office? The short answer is that you do not have to register your work, but if you ever want to enforce your copyright in a US court, then registering your work in a timely fashion can be crucial. The US does not require registration to obtain protection; however, the US still wants authors to register. So, it provides strong incentives for registration, and those incentives can make all the difference in whether it is financially practical for you to enforce your rights. If you register your work in a timely fashion, and if you are successful in proving infringement of your copyright, the statute says you can receive statutory damages and attorneys’ fees. Being able to rely on statutory damages means that you do not have to prove how much you were harmed; instead, the court can just assign a dollar amount per work. The starting range is $750 to $30,000 per work infringed. If the infringement was willful, it can be as high as $200,000 per work. Making attorneys’ fees available means that, if you prevail, the other side has to pay the fees for your attorneys. This can be even more important than statutory damages. The amount you would have to pay in attorneys’ fees to litigate a copyright infringement suit will certainly reach mid-five figures and perhaps even low six figures. That’s why I say that having registered in a timely fashion can be so important in the decision to try to enforce your rights. Without attorneys’ fees being available, it may not be worth it for you to pursue the action, even if it is a slam-dunk win, if the ultimate damages you would receive would be less than what you would have to pay your attorneys. So what is “in a timely fashion”? In order to be able to take advantage of the provisions providing statutory damages and attorneys’ fees, you need to register your work either before the infringement begins or within three months of first publication. The situation is a bit different if the infringement begins before you publish the work, but that is not a situation often faced by authors, particularly self-publishers. You have copyright protection in your novel, short story, or other work of authorship as soon as you fix it, but in the US at least, registration can supply significant advantages if you ever need to sue anyone to enforce your copyright. If you think you will ever want to enforce your copyright rights in a US court, then you should register your work with the US Copyright Office in a timely fashion – either before the infringement begins or within three months of publication. 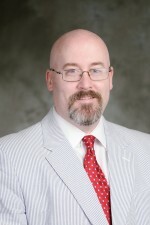 M. Scott Boone is an attorney and law professor who teaches at Atlanta’s John Marshall Law School. He has long focused on issues that affect authors and artists. He blogs about legal issues for writers at www.writerinlaw.com. Where can be done the regsitration? Is there any on-line web site you can suggest? Using that service the copyright is valid just for USA or it’s worldwide? If I use an Italian copyright register I cannot be protected also in other country, can I? You would want to visit the website for the copyright office of whatever country in which you are interested in registering your copyright. For example, in the US that would be http://www.copyright.gov. I have found the perfect cover for one of my novels on Facebook. The story is about five women who grow up together and the photo in question is of five older women all wearing teashirts with bikinis printed on them. Can I use the downloaded photo/or how do I get permission to use it? I can’t give you legal advice without knowing more; so I cannot say for sure. If you want legal advice specific to your situation, you would need to find an intellectual property lawyer to look into your situation. That being said, a photograph has copyright protection from the moment it is fixed (i.e. taken). Posting a photograph online does not get rid of those rights. The owner of the copyright can give permission for its reproduction, etc. OK, I really can’t help myself. Let me just also warn you about this: there are more than copyright issues involved with someone using a photograph of a real person. You might need more than the permission of the person who took the picture. Again, I don’t know all the facts of your situation, so I can’t really advise you other than to say talk to an intellectual property attorney. Or just don’t use random pictures you find online. Good article. I’ve talked about this with many budding writers. I have a question about the legalese in your article.–> “three months before infringement begins” — how are you supposed to know your work will be infringed upon beforehand? Or is that legalese for something I’m missing? Thanks. Lisa, you’ve understood it perfectly. You would almost never know when infringement is going to begin. In fact, frequently, rights holders do not know for some time even after infringement has commenced. That is why I generally advise people to register (if they are going to) within three months of publication. Technically, the benefits conferred by the statute are available if you register within three months of publication OR before infringement begins. However, for the exact reason you point out, it is safer to comply with the within three months of publication.